Hello there! Melissa Phillips joining you today and I am so happy to be doing so. 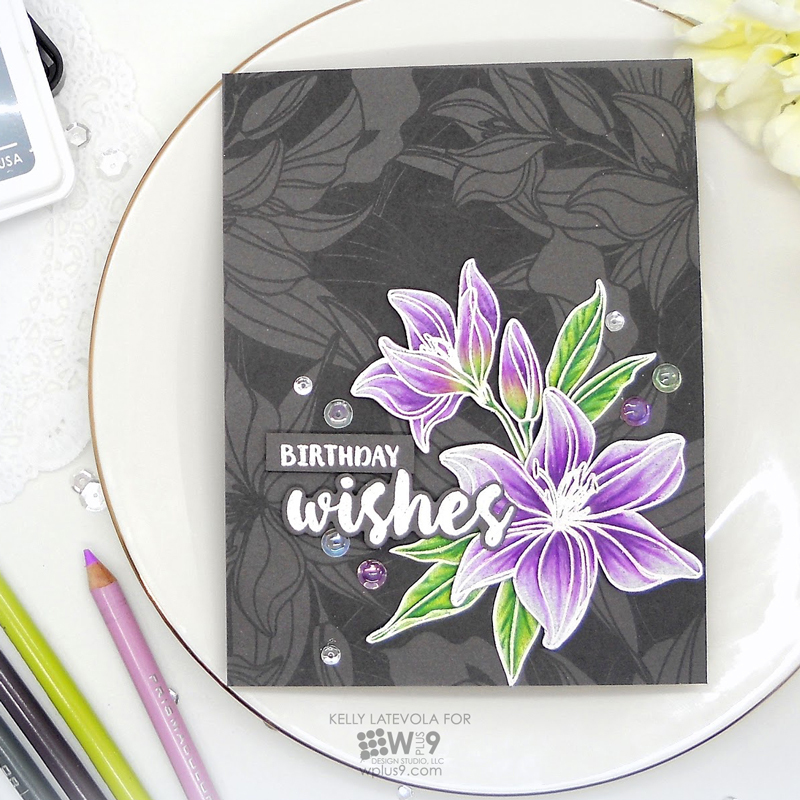 I enjoyed every minute of creating this card and now have a new favorite set of dies and stamps! The No One Else set is so playful and creative and I am excited to continue to create with it. I began with a block of Wplus9 White Cardstock and sponged on ink colors in pink, green, bright yellow, aqua, and green. I then spritzed my cardstock block with water and let the colors start blending and pooling together. I LOVE Wplus9 cardstock because it reacts so well with water and ink and lends itself perfectly to the watercolor feel. Once my cardstock was dry, I attached a sheet of Easy-Cut Adhesive on the backside and ran it through my die cut machine. This adhesive sheet backing makes each letter easy to use as all you have to do is peel the backing off and adhere it in place. 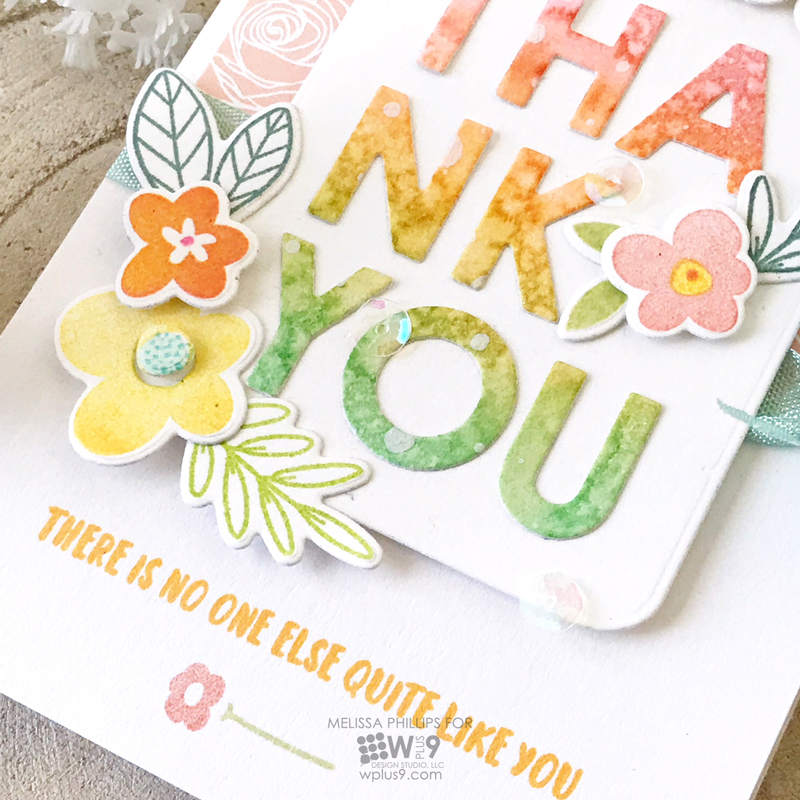 To finish, I attached my die cut letters to a tag and embellished with stamped and die cut flowers from the No One Else stamp set and die collection. The tiny flowers in this set are irresistible and I can’t stop using them :). Hello Crafters! I'm trying something a bit different today and I hope you love it as much as I do. Honestly, when my friend Lydia first introduced me to it I wasn't on board. But, I'm so glad I eventually tried it! 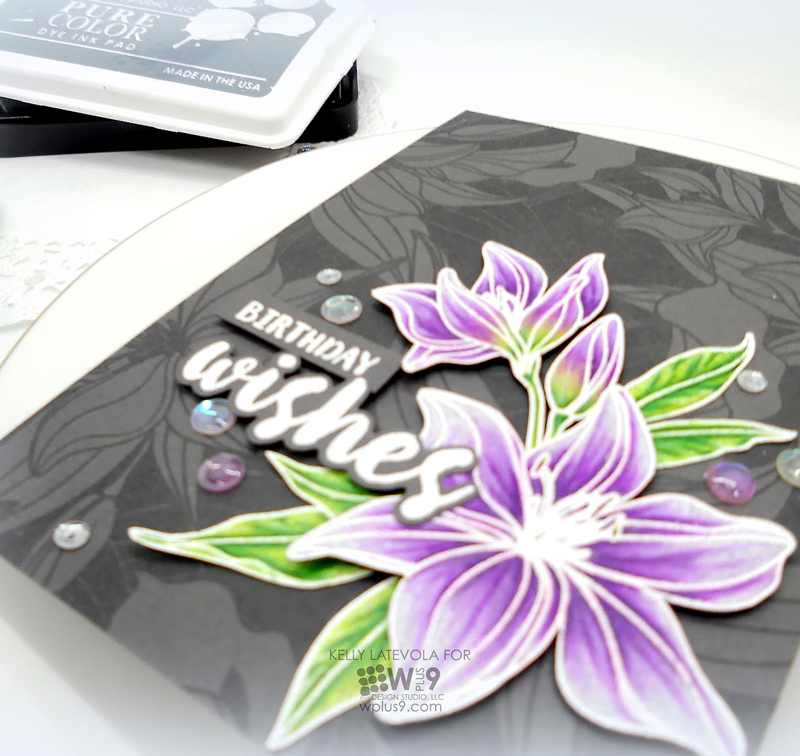 I started by heat embossing my flowers and leaves in white on coal mine cardstock. Then I picked out my colored pencils and started coloring. Yep, colored pencils. Shocking, right? I started by putting down a layer of white all over the image. I used light pressure. I didn't want to fill up the fibers of the paper too soon just get a nice base layer. After that I started adding in my other colors all the way out to my darkest. Then another layer of white before working back to my lightest color. 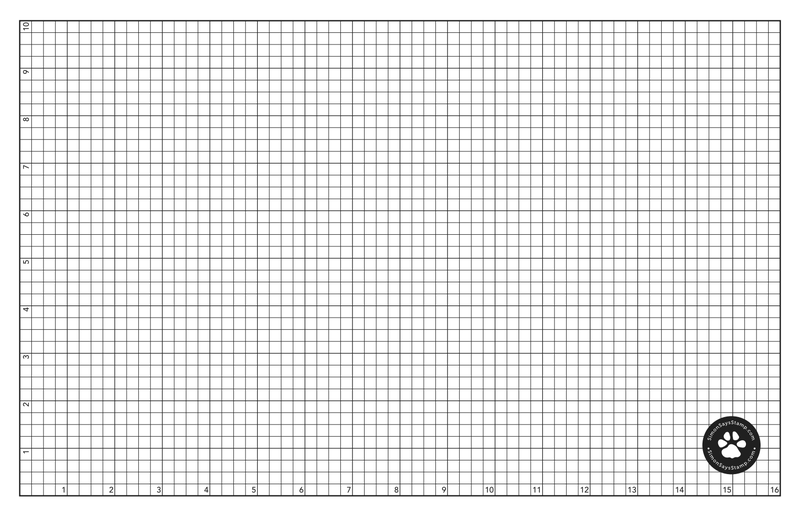 This actually went by extremely fast for colored pencil work. I do think I'm getting faster, which I'm pretty sure is only going to come with more practice. So plan on seeing more colored pencil cards in the future, ha! You can see in the extreme close up how bright and vibrant those colors actually are. I totally love them! I think those layers of white really do add a vibrancy to the colors that they wouldn't have otherwise. 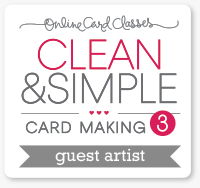 I fussy cut my embossed images so they would be popped up over my tone on tone background. I love tone on tone backgrounds because they add interest without competing. Hello! It's Kara and I have something a little tropical to share with you today. 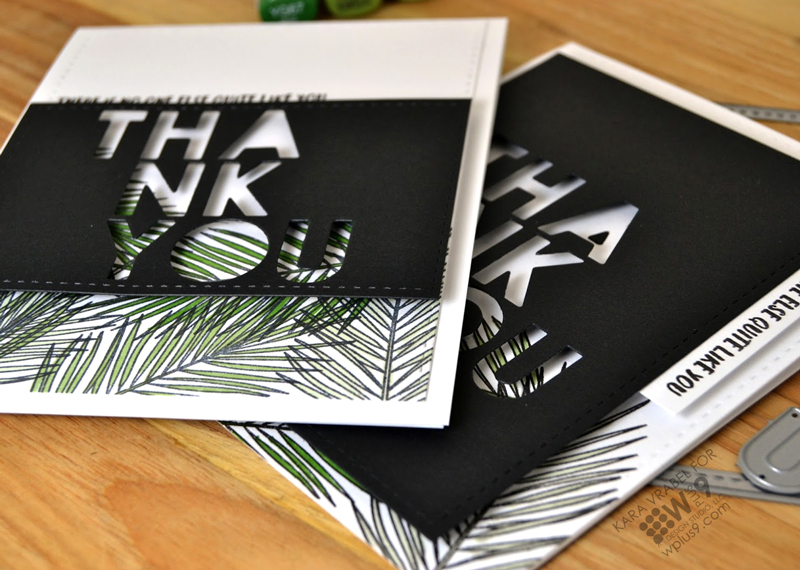 I love all of the different ways designers are using tropical leaves recently. I've been seeing these large leaf designs on all kinds of homeware: pillows, dinnerware and even wallpaper! If you're like me and not bold enough to add them to your home we can certainly enjoy them on our cards. 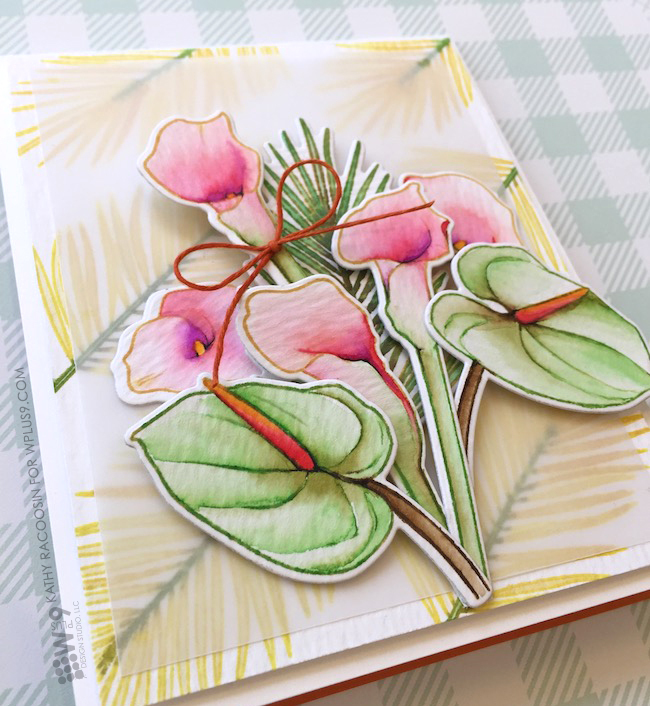 I love this large leaf stamp from the new Modern Calla Lilies set. It reminds me of the kind of leaves I've been seeing in these trendy designs. I decided to stamp the leaf several times, overlapping the image, but also leave a lot of white space. I colored in the leaves with green Copic markers. I chose 3 coordinating greens. I colored each leaf a different shade and where they overlapped I got even more color variation. I created black panels to go on top of my designs using the 4 Bar Stitched Rectangle Die. 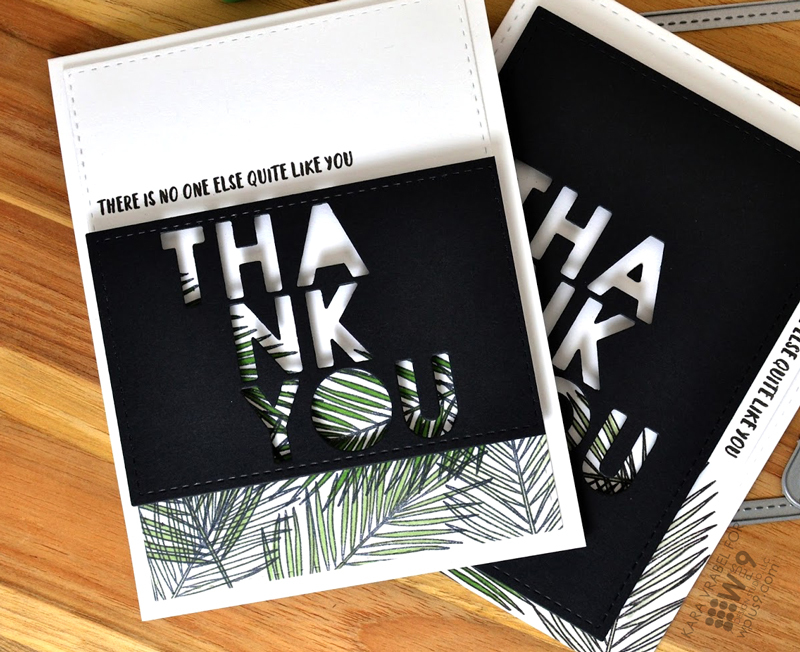 By die cutting the words 'thank you', using the No One Else die set, it allowed the leaf design to peek through. 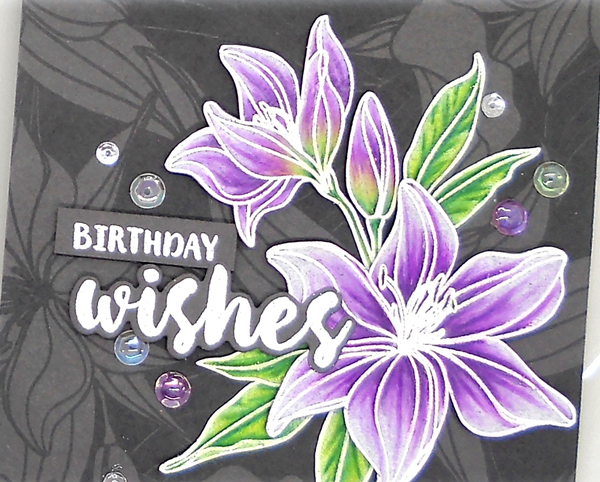 I added a stamped sentiment using the No One Else stamp set on both cards. 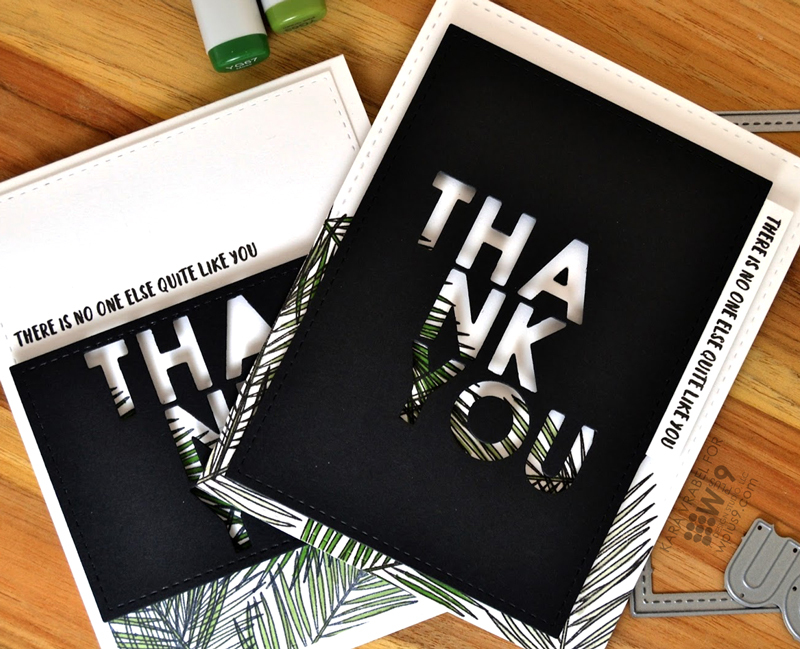 For the card on the left I created a little tab to stamp my sentiment and added it to the side of my black panel. 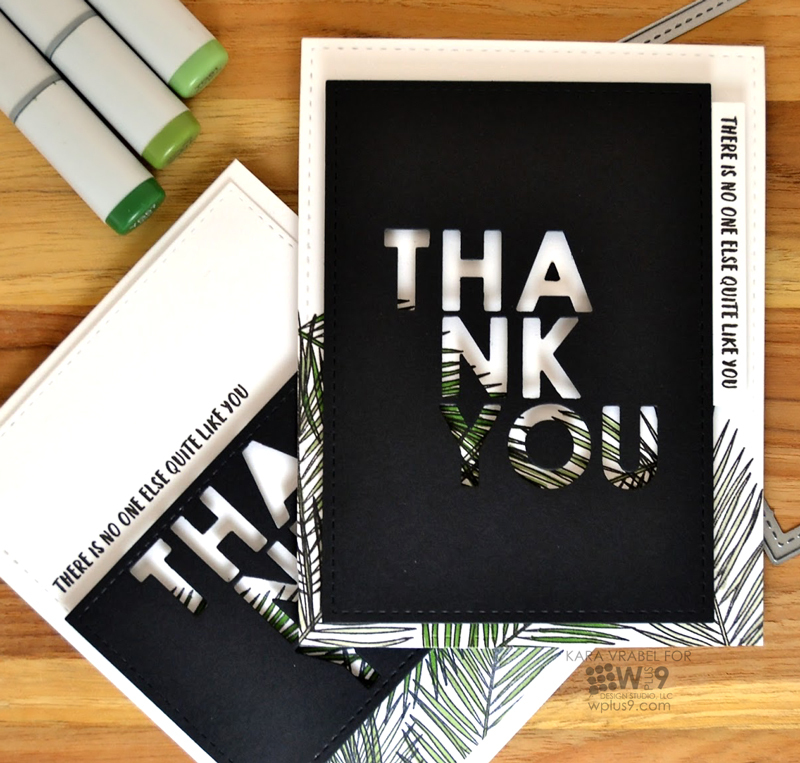 I hope you enjoyed and it inspires you to bring a little of the tropics into your craft space! Thanks for stopping by! Hello! Today we are welcoming another special Guest Artist - the talented Kathy Racoosin from The Daily Marker. Kathy is an amazing colorist. She is always full of tips and tricks for getting the most out of images and supplies and adding details to really make them "your own". 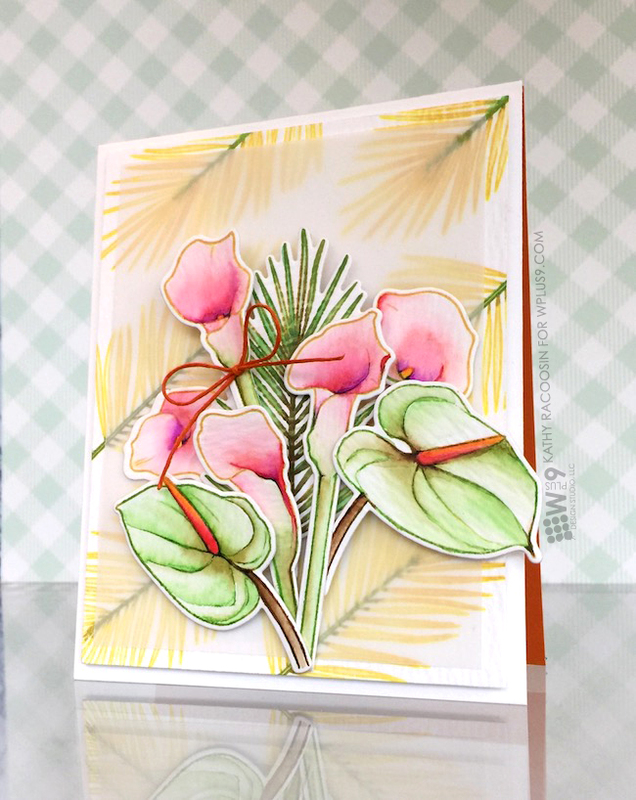 Today, she is sharing a card with us featuring the Modern Calla Lilies set watercolored with Tombow Markers and Distress Ink. 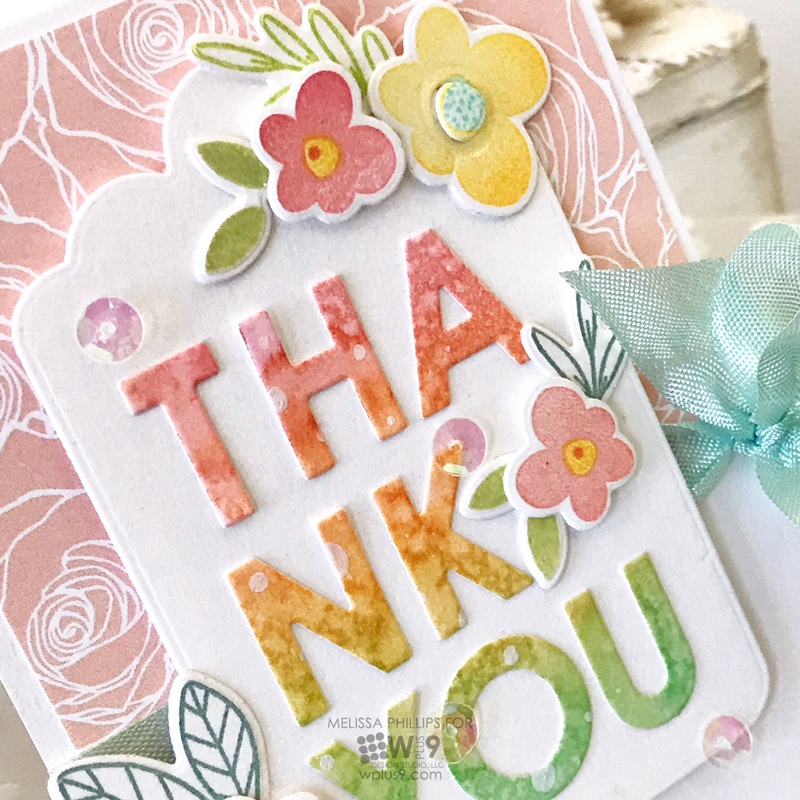 To create this card, she started by stamping the images with the MISTI stamp positioner in Scattered Straw Distress Ink onto Tim Holtz Watercolor Paper. The edges of the stamp were colored with one or two markers then stamped again. Kathy chose to die cut, stamp and then watercolor. However, if you find it easier, you can stamp, watercolor and then die cut. It's all personal preference. 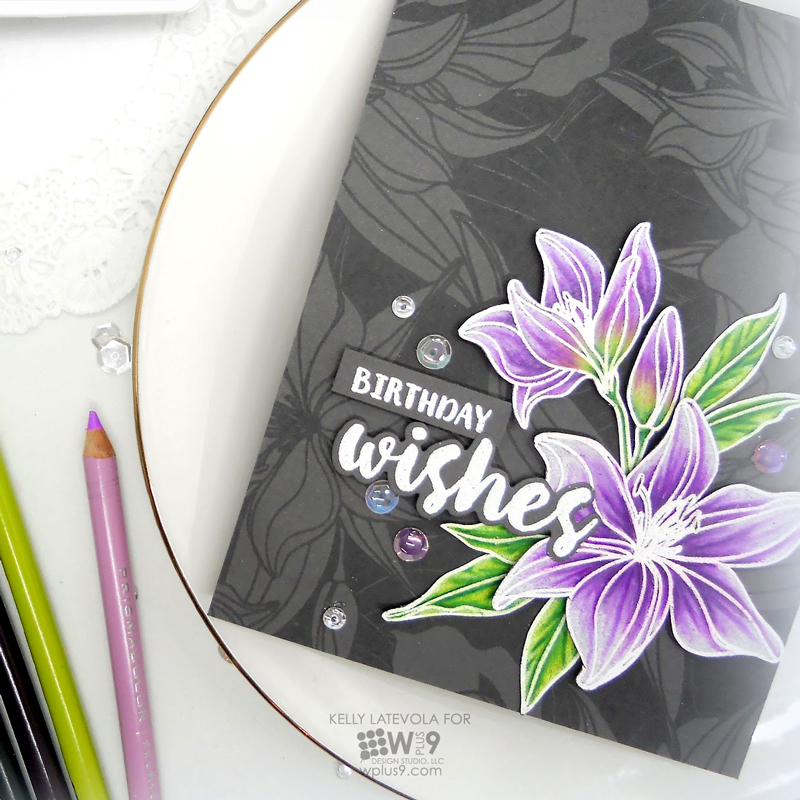 After stamping, she scribbled a little marker onto a palette (you could also use a craft mat or an acrylic block) and picked up the color with a wet paint brush to apply to the images. The stamped color will reactivate and mix with the colors you are applying to create some beautiful variations and blends of color. This is a great trick for quickly and easily adding interest without have to "think" about it or fuss over it. 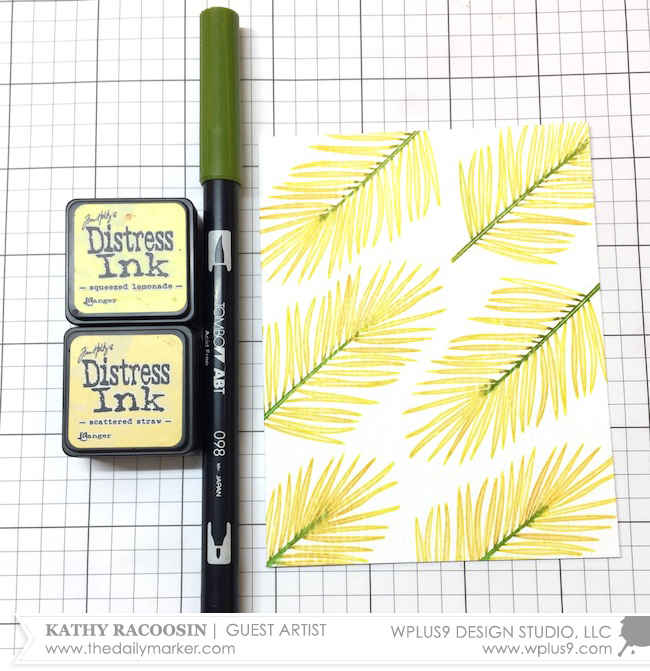 The background was stamped with Squeezed Lemonade Distress Ink and a line of color down was drawn down the center with a green marker. The rest was painted with Scattered Straw Distress Ink. Super easy and relaxing. A layer of vellum was glued on top to soften the background and ready for the bouquet. 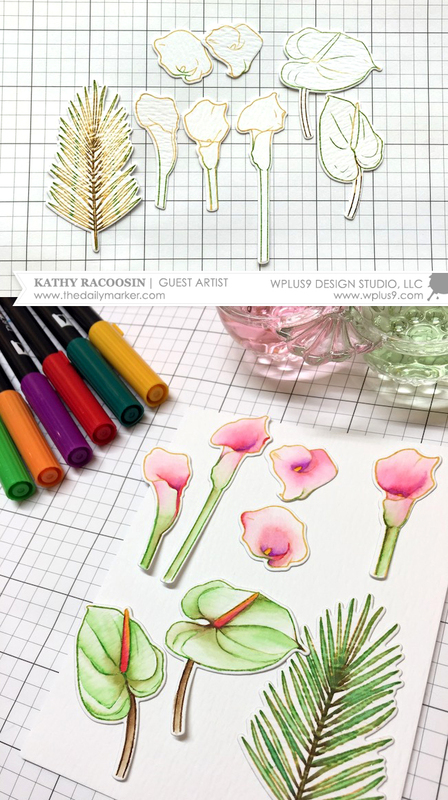 To finish it off, she custom colored a bit of twine with a Copic Marker and tied it around one of the Calla Lilies. Another great tip! A great big "Thank You" to Kathy for joining us today! And as always, thank you, for stopping by!